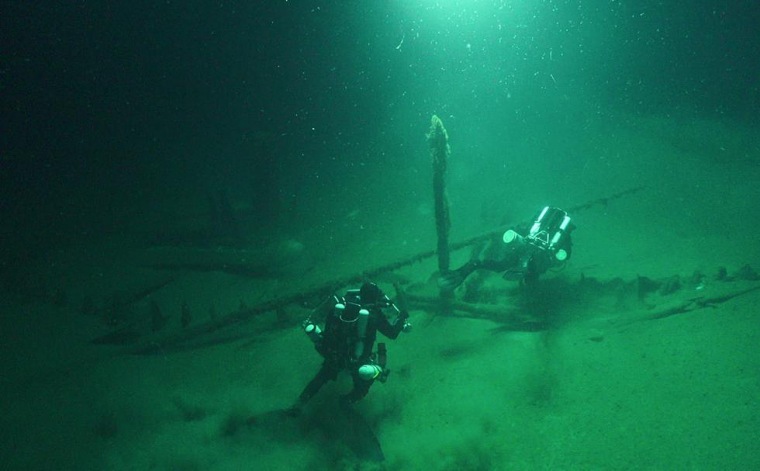 Members of the Black Sea Maritime Archaeology Project said Thursday they found 60 Roman, Byzantine and Ottoman ships while investigating climate change in Bulgaria’s Black Sea waters. The researchers were also studying the impact of sea-level change after the latest glacial cycle. The oldest of the ships is nearly 2,500 years old, dating from the Classical period around 400 or 500 B.C., according to their report. “This assemblage must comprise one of the finest underwater museums of chips and seafaring in the world,” Professor Jon Adams from the University of Southampton, who led the expedition, said in a press release. As its name may suggest, the Black Sea’s lack of light and oxygen below a certain depth has allowed many of the ships to be perfectly preserved. The wrecks were discovered hundreds or thousands of meters deep, with their masts still standing and rudders in place, according to the group. Researchers also observed carvings and tool marks as distinctive as the day they were made. Many of the wrecks showcased structural features and equipment that were known to have existed, but never seen until now.